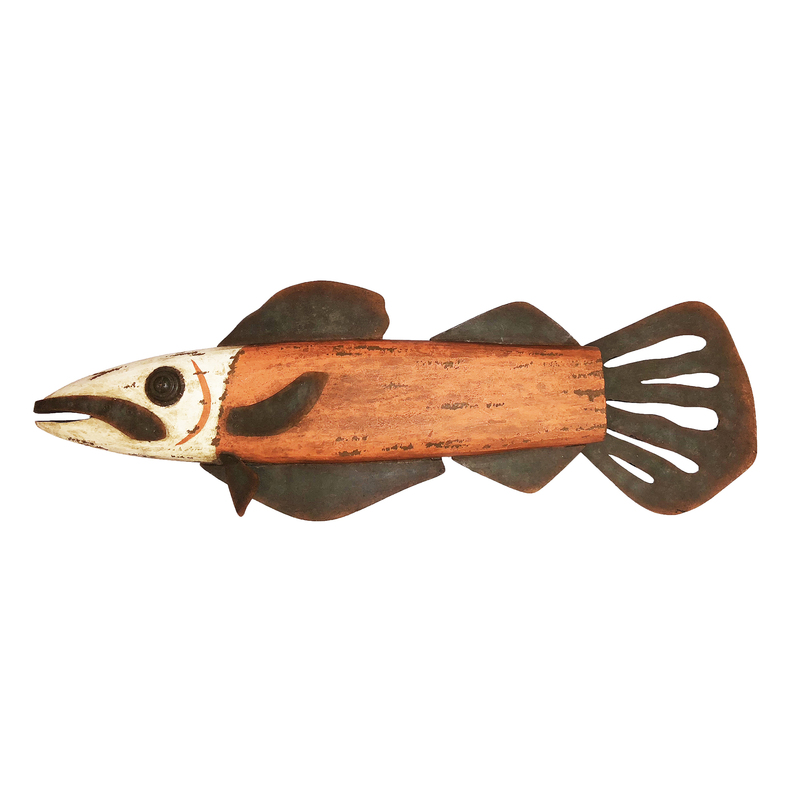 The barracuda is an easily recognizable fish with its torpedo shaped body and large mouth. This fearsome creature has captured the imagination of people for generations. The artist captures the sleek body shape while using playful coloring to create their stylized version of the barracuda. Rustic, destressed finishes and rusty shaded metal fins make this a striking piece. 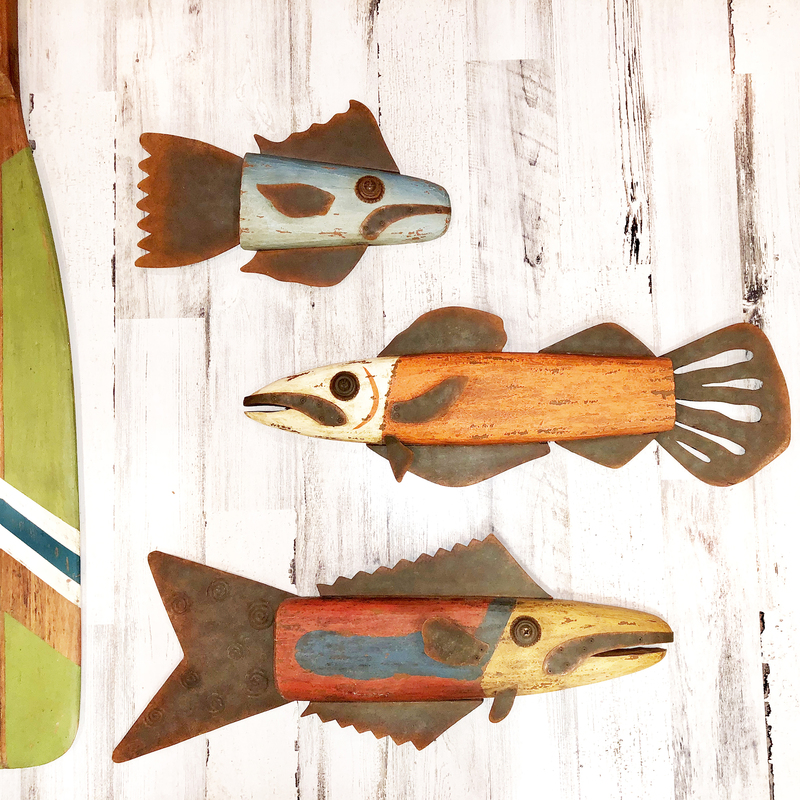 Made from cheesewood which has been hand-painted with a distressed finish. Solid metal fins that have been painted to look like rust. This piece will hang ona jigsaw hanger.